Uber accidents are not uncommon nowadays, given the rise in the company’s presence and the amount of drivers present on the road. Many Uber drivers decide to take on long shifts and take as many customers to their destinations as possible; this allows them to earn maximum income for their driving, but it can also lead to accidents due to reckless driving and speeding. Additionally, some Uber drivers escaped the screening process carried out by the company and are allowed to drive despite having poor records or a tendency to drive carelessly. As a result, accidents can occur and be devastating, and you should be aware of all of your rights in such an event. At Kenmore Law Group, our team of experienced attorneys has been handling Uber accident cases for years, since the company’s inception. 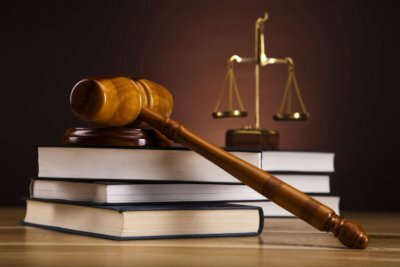 We know the best methods to winning your case and will help you through the entire legal process. Uber is a rideshare company that allows riders to summon a taxi on their apps on their smartphones, which will then carry them to a destination of their choice. The app has steadily gained steam for its cheap prices and quick service, but there have been numerous legal problems that arose from it. One of the most important legal issues concerned the employment status of the drivers. Uber initially claimed that its drivers were independent contractors and the company was therefore not responsible for their actions, legal or illegal. They also would not provide insurance to the drivers, which turned out to be a major issue: personal auto insurance policies do not care commercial driving, and would not protect the individuals or anyone else in the vehicle in the event of accidents. Eventually, this was changed because of a court ruling, and Uber now provides its drivers and the customers with insurance coverage. The insurance system is simple: when the app is on but the driver has not accepted a ride, he is covered for up to $50,000 in liability damages, as well as lesser amounts for collision and others. When he accepts a ride and is en route to the customer, as well as when the customer is in the vehicle, the amount increases to $1,000,000, and lasts throughout the duration of the ride. When the customer has been dropped, the coverage reverts to the $50,000 amount. Not many riders are aware of this coverage, however, and may take improper steps after an accident. You should familiarize yourself with this information so that you can sue Uber for the accident and receive compensation. A skilled lawyer can tell you what to do if your Uber is in an accident. There are numerous steps to take after an Uber accident, and if you follow them, you will be in good shape if you choose to file a lawsuit. We have answered some common questions below dealing with Uber accident procedures. I was in an Uber accident. What do I do? If you were in an Uber accident, you should follow these steps immediately to ensure that you are protected. • Seek medical attention, whether you were injured or not. It is important that you get seen by a paramedic or a doctor to check how hurt you were; some injuries may not manifest until days after the accident, and it is important to identify them as quickly as possible. • Take pictures of your injuries, the scene of the accident, the damage to the vehicles, the driver, and more. • Screenshot your ride information on the app on your phone. • Keep your receipt from the ride in your inbox (alternatively, locate the payment on your credit card statement). • Take down the insurance information of the Uber driver who was operating the vehicle at the time. • Record witness statements or any testimonies from bystanders who saw the accident. • Request a copy of the police report so you can have additional evidence proving who was at fault and what unfolded in the accident. • Lastly, you should contact a lawyer to help you start your lawsuit if you were injured because your Uber got into an accident. What Should I Do after an Uber Accident? You should, of course, get medical attention immediately if you were hurt. Additionally, you should file an accident report with Uber. The company will want to know the incident happened and will let you know what the next step will be. If you seek compensation and are denied, for example, you should pursue legal action. You should make sure that you have all of the information gathered together that could possibly help you with your claim. This includes the medical report and paramedics notes, photographs, videos, police report, and more. It is crucial that you have all of your evidence ready, as it will make the legal process easier. When you contact a lawyer, you’ll be told what to do next, whether it’s to get a second opinion from a doctor or to come in for a consultation. I am an Uber Driver and I Got Injured in an Accident. What Do I Do? If you are an Uber driver and you were injured an accident, what you should do is immediately seek medical attention and gather evidence the same way you would if you suffered an Uber passenger injury. Uber can also tell you what you should do, but they may be trying to keep you from pursuing legal action against them. You should be aware of your insurance coverage at the time of the incident and make sure to get the details of the opposing driver. Uber can also provide you with coverage for up to $1,000,000 for uninsured or underinsured motorists. It is crucial that you know what to do in these situations, as Uber notoriously tries to deny as many claims as possible. You must file an accident report with Uber and follow their instructions. If no compensation is offered or if the claim is denied, your next step should be to contact an expert lawyer who can walk you through a lawsuit and handle your case for you. We will help you understand what to do if you are injured in an Uber accident. If you wish to file a lawsuit, you must be able to show that the Uber driver or other driver were negligent in his actions. This means that you were owed a duty of care that was breached, which led to an accident that resulted in physical harm. These four points of negligence can be established to be true with the assistance of a skilled lawyer. Many individuals ask us what to do if your Uber driver gets into an accident and what to do if injured in an Uber ride. Proving negligence is the key to receiving compensation: you should always make sure that you know what to do and how to prove it. If you have questions, a lawyer at our law firm can assist you. If you are the victim of an Uber accident passenger injury, a lawyer can help you understand what to do afterwards. One of the key pieces of information you should receive is the amount of time you have to file your lawsuit. Personal injury claims in California have a 2-year statute of limitations; this means that if you wait longer than 2 years to file a claim, you won’t be able to receive any compensation for your injuries. This deadline exists because claims can tend to drag on, and it is not fair for parties to be targeted years after the damages occurred – especially if the damages are already healed and no longer have an effect. There are exceptions to this statute, however; if you were underage at the time of the accident, the time limit would be extended from the date of your 18th birthday, and if you were incapacitated, whether mentally or physically, the deadline would not start counting down until you returned to normal. An expert lawyer can help tell you what you should do in the event of an Uber accident. You’ll know if your claim must be filed immediately or if you have enough time to gather additional adequate evidence. Our lawyers will ensure that your claim is filed on time and that all of your documents are properly sent out. An Uber accident can result in various injuries, and as such, you can be fairly compensated for the dmages you sustained. You may be able to have your medical expenses covered and the damage to your property reimbursed. If you missed work for a number of days because of the injuries or because of recovery time afterwards, you could sue for recovery of those lost wages. Importantly, you may have suffered numerous emotional damages in the crash, such as PTSD, anxiety, fear, psychological trauma, and more. Compensation for these damages can be used to pay for therapy and other treatments. If a loved one passed away in an Uber accident, you should contact a lawyer to figure out what you should do. The best course of action is to file a wrongful death claim against the company and to pursue coverage for funeral expenses, pre-death medical bills and pain and suffering, loss of consortium, and more. Uber should be held responsible for its drivers’ actions – they hired them, and they should pay for the costs. Our team of qualified attorneys at Kenmore Law Group is here to see to it that you know exactly what to do after an Uber crash and that you are adequately assisted during the legal process. We promise to be there for you every step of the way, and we will handle your claim for you while giving you constant updates and necessary information. We dedicate ourselves to our clients, and our primary goal is to bring you the compensation you deserve. Call us today to schedule a free legal consultation with an expert attorney. You’re invited to ask us any questions you want, and we will tell you exactly what to do to ensure that your case has the highest chance of succeeding. We will look over your claim and tell you what we believe it is worth and what we can win for you. 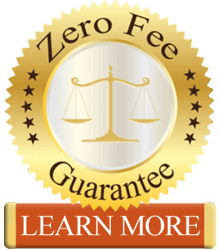 If you hire us to represent you, we’ll give you our zero fee guarantee, which ensures that you will pay no out of pocket expenses for our services. We will only get paid if we win, and the fees will come from the settlement we win for you. If we lose, you won’t have to pay us anything at all. Get in touch with an accomplished attorney at Kenmore Law Group today for more help on figuring out what to do after an Uber accident.